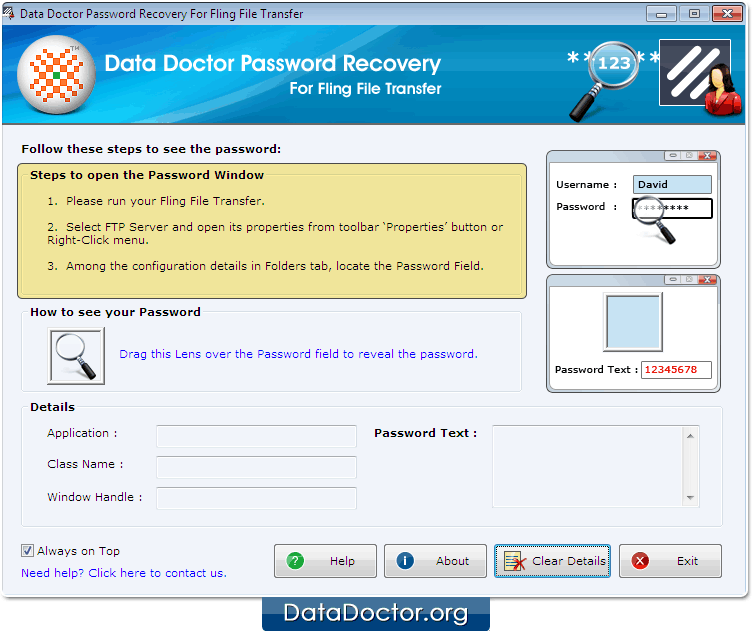 Password Recovery For Fling File Transfer recovers forgotten password from Fling File Transfer. Password retrieval tool retrieves special character password, hidden password and complex password easily. 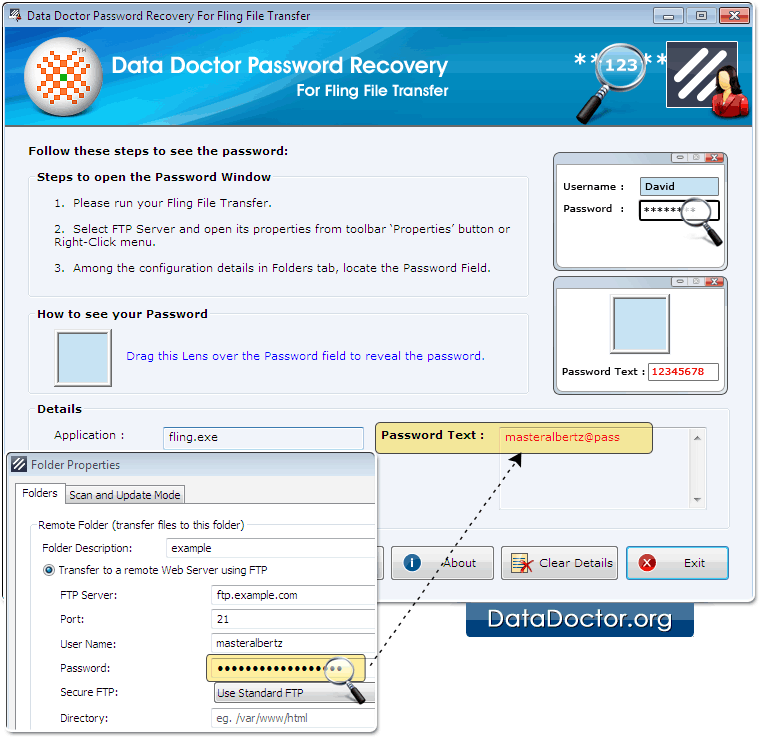 Install and Run Password Recovery For Fling File Transfer. 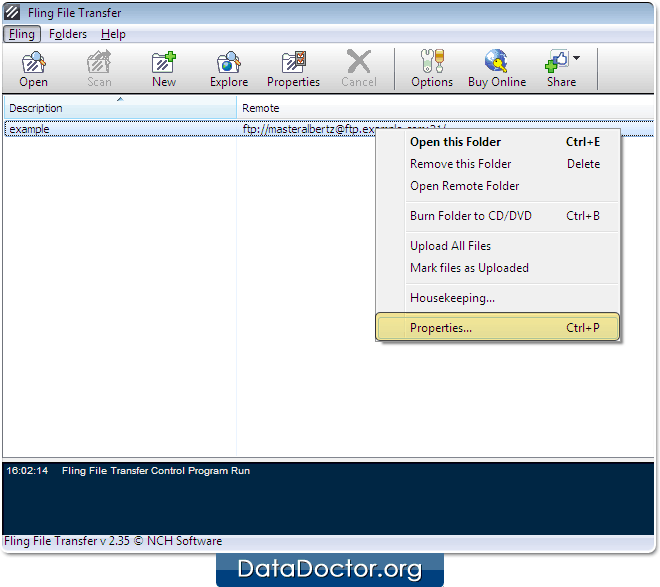 Open Fling File Transfer Software and select ‘FTP’ Server. 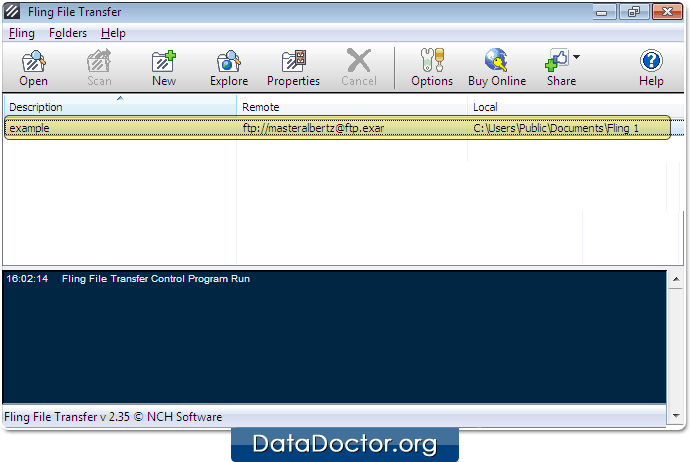 Open FTP Server’s Properties either from 'Right-click' menu or 'Properties' button in toolbar. To unmask misplaced or lost password, drag lens over password field.